Over the past few years, we have seen hundreds of companies build their clientele by using EDDM® – also known as Every Door Direct Mail®. It’s a postcard mailing service allows you to choose postal routes in your desired area, and then send a discounted postage postcard to every door on that route. 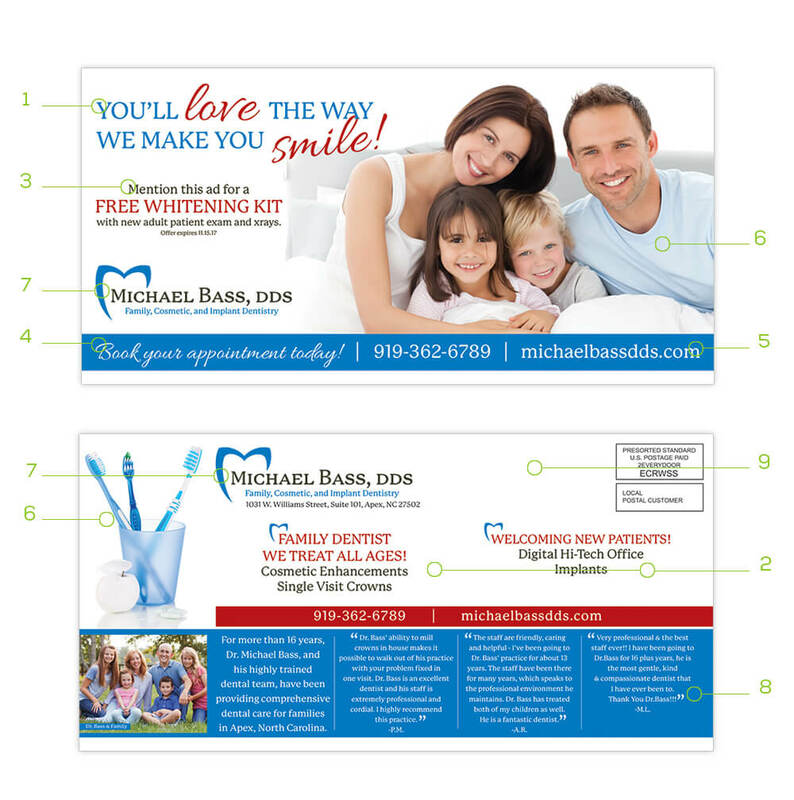 This is a great way to communicate with residents and businesses in your target area. According to a Household Study, 81% of the recipients read or scan their mail daily. With EDDM®, you can communicate with residents and businesses in your target area. Once you’ve made the decision to send out an oversized postcard campaign, it’s important that you send the right message with the right artwork. Below are a few tips to keep in mind. Start the postcard with a simple, yet bold opening statement. (Headline) It doesn’t need to be very long but needs to attract attention. Establish why people should choose you over your competition. Have a clear understanding of WHY you are sending out this mailer and WHAT you hope to accomplish. There has to be more than “I want more business.” That is the ultimate goal but try to dig deeper. Do you want to introduce yourself to the neighborhood? 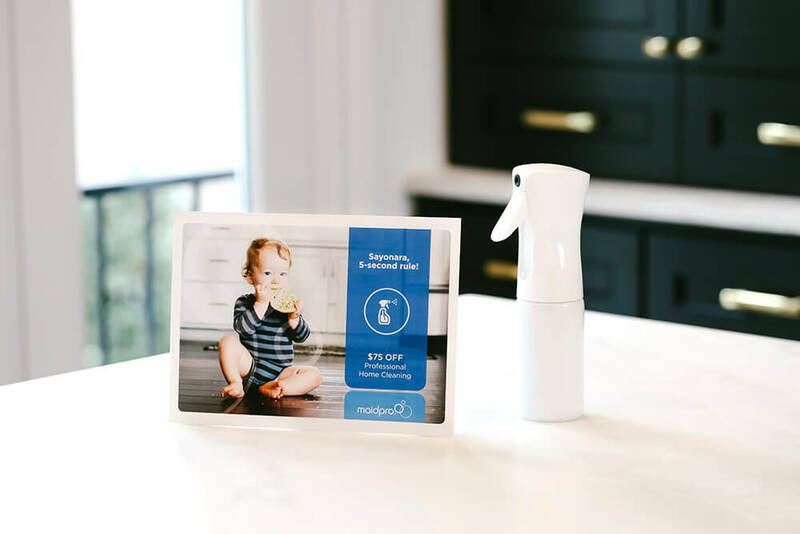 Do you want to bring awareness to families with young children that you specialize in kid-friendly products? Maybe you want people to know that you work with residential and corporate clients. Perhaps there is a specific product that you would like to sell more of. Whatever the goal is, don’t be afraid to let people know. People love a good deal. If you can offer a coupon or discount, people may be more responsive. I also recommend putting an expiration date on the coupon. Even if this is a discount that you always offer, make the coupon expire a couple weeks after they will have received it. Adding the sense of urgency makes people act now, rather than putting the postcard to the side, thinking “I’ll get around to it.” Because we all know… we don’t get around to it! How do you want people to contact you? Do you want them to bring the postcard into your store? Do you want them to call you or visit your website? Whichever you decide, make sure that it is clear and a main focal point of the postcard. People don’t want to have to go searching for your phone number. I also recommend putting it on both sides of the postcard. Most people are very visual. Besides a nice headline, you need a beautiful picture that is attention-grabbing. Usually, the front should have something substantial that serves as a focal point, while the back can be smaller and less significant. Make sure your images are simple, not overly cluttered, and most importantly a high-resolution image. If it looks blurry on your computer, it will look even worse when printed. There are tons of stock photography sites out there, with millions of images to choose from. If you don’t want to hire a photographer, don’t be afraid to purchase an image. Also, make sure you know the demographics you’ll be wanting to reach. If the neighborhood you are mailing to mainly consists of retired couples, you don’t necessarily want to show a photo of a young family. The recipient may not think that the mailer will pertain to them. Make sure your logo is clearly shown on both sides and will help establish your brand recognition and reiterate who you are. Testimonials, a short bio, awards received, or any other information that makes you relatable and shows credibility is also a nice touch. If you decide to add this information, make sure to keep it short and to the point. And you don’t want to lose your viewer because they don’t want to keep reading. Keeping your message simple, yet direct is much more important than filling the page with every bit of information you can think of about your company. If you want people to know more, direct them to your website for more information. 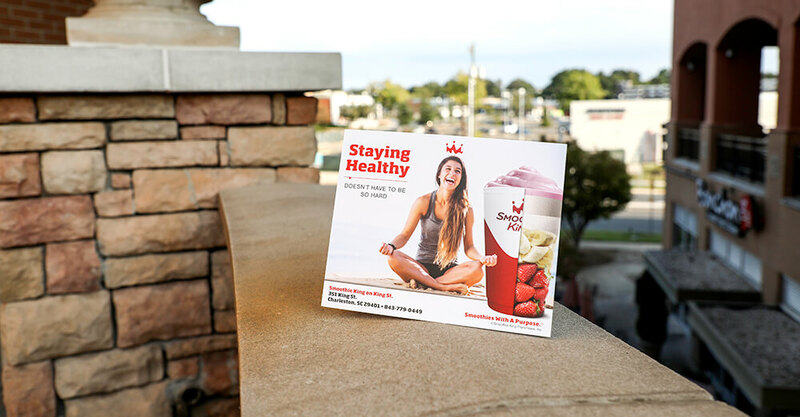 Designing the perfect EDDM® Postcard can be difficult so if you need help, don’t be afraid to hire a marketing company or even a graphic designer to help. We offer design services and are more than happy to walk you through the process. Just fill out the design inquiry form to get started. To learn more and how to get started, please take a look at this helpful Every Door Direct Mial® Checklist. 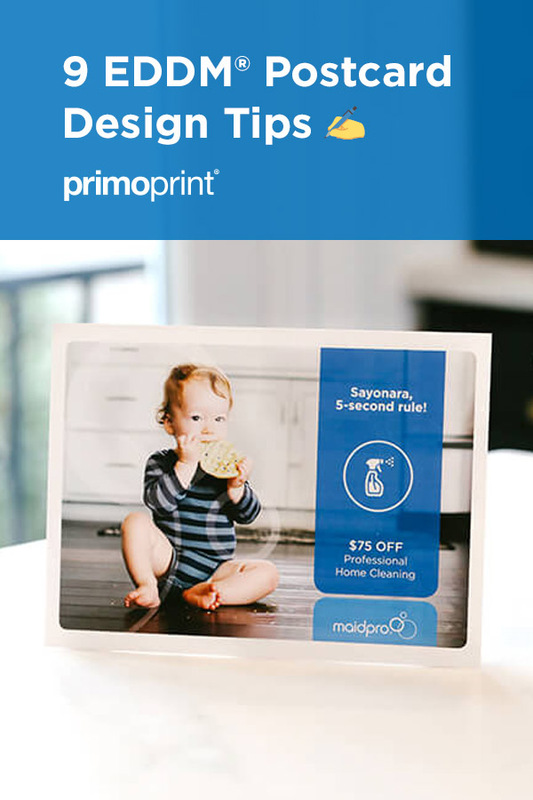 Brooke is the Design Team Director at Primoprint. She oversees the design department, assists with graphic design projects, and helps coordinate upcoming projects with customers/graphic designers. Outside of the office, Brooke enjoys being a Soccer Mom, a Gymnastics Mom, cooking, drinking wine, and is a firm believer in Sunday afternoon naps.